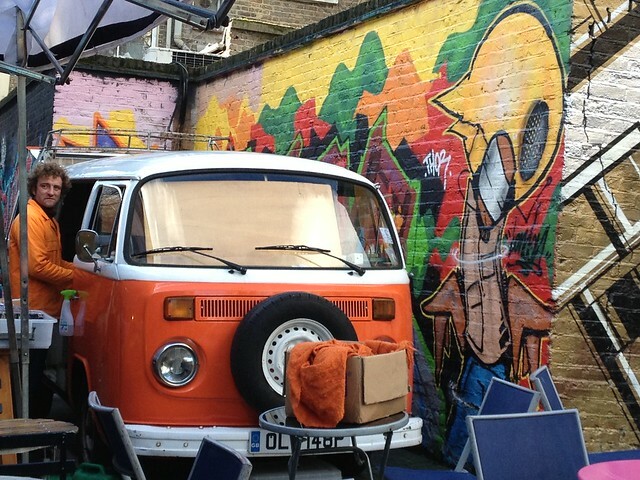 One day when I was living in England, my flatmates & I decided to jump on the train to London & go check out Portobello Road Market in Notting Hill. 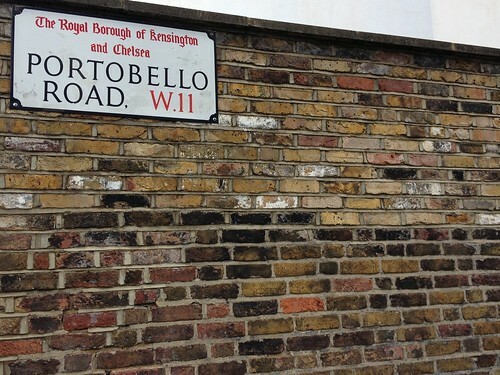 You could spend hours exploring the stalls & shops at Portobello Road, & still not get to the end of it. Flowers, fruit, coffee, old records, & Charles & Diana mugs from 1981. 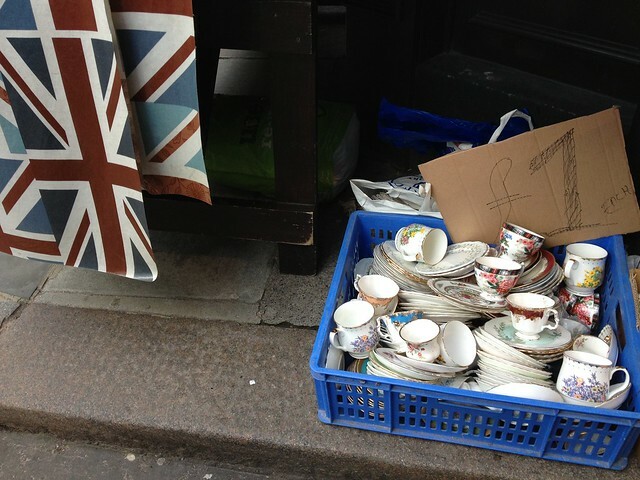 I was tempted to go crazy buying those tea cups for one pound. 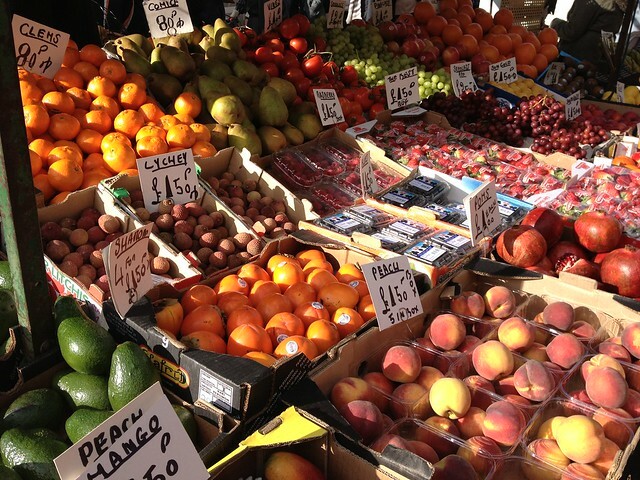 One pound! Sadly I had to pass them up. But I did find some pretty silver rings, which I wear everyday now. Oh, & a mug with Winston Churchill's face on it. 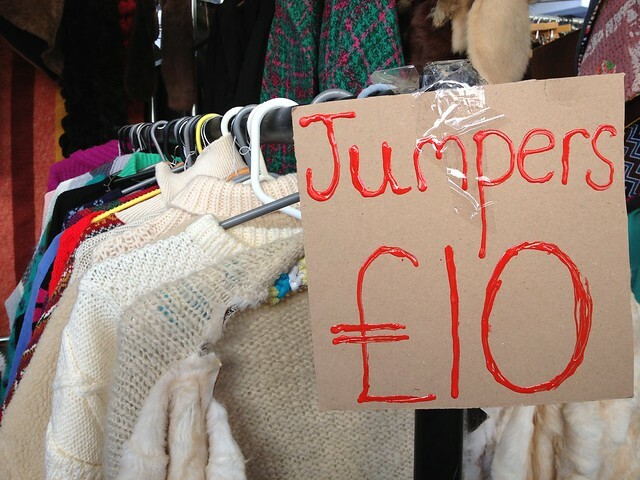 Seriously, you never know what you'll find at Portobello Road Market. 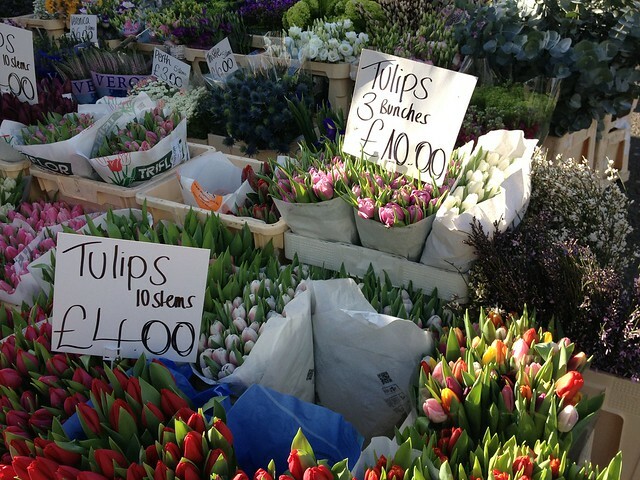 This is one of my very favorite markets in London!! 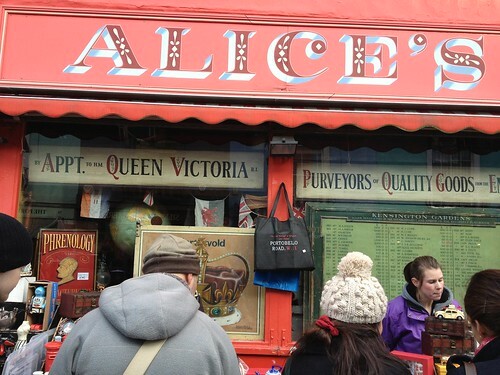 Especially the Hummingbird Bakery… yum! !